Apple appears to have a very busy week ahead. Not only is it launching Apple Pay in the UK, but it's also reportedly launching its refreshed line of iPods. 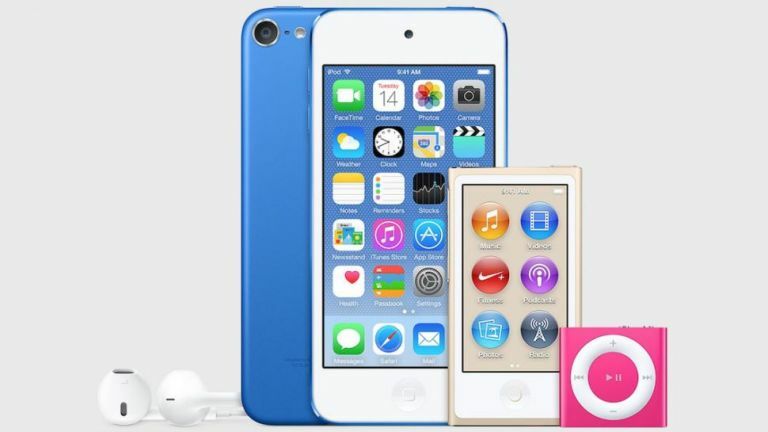 The news broke last week that Apple is refreshing its iPod devices, after images showing iPods in new colours were spotted in the code for iTunes 12.2. Now French site iGen suggests the new MP3 players will be formally debuted this coming Tuesday, July 14. We're told gold, grey, electric blue, fuchsia, pink and black versions of the iPod Shuffle, iPod Nano and iPod Touch are on their way. All of them are said to don upgraded internals, apparently, the reason is to support Apple Music. With less storage – because we're all streaming our music, supposedly – the new line-up could be a cheap alternative to the iPhone 6 and iPhone 6 Plus. If the rumours are true, the iPod Touch - which hasn't been updated since 2012 – will be improved the most. Apple is said to be swapping its 32-bit processor for a faster 64-bit processor, as well as giving it a beefier camera and Touch ID tech. Apple Pay also hits the UK next week on July 14, which probably isn't a coincidence. With Touch ID packed into the new Touch, users will be able to pay for things in seconds. However do note, this report is hardly gospel. Given the fact that Apple has yet to shed any formal light on the supposed iPod unveilings, take these claims with a pinch of salt for now.